A bride-to-be will ensure she has “something new” for her wedding day – when she becomes the first person to get married in an Edinburgh venue just days after construction work finishes. Megan Crofts, of Bishopton, Bristol, has already booked to say “I do” at the new venue being created by The Royal College of Surgeons and will celebrate her nuptials just weeks after workmen leave the site. Megan, 32, and Florida-born fiancé Eric Hewlett, 36, were so wowed by the plans for the new venue they booked months ago and are unfazed by the tight deadline – and the fact they live 370 miles away. Megan is a former pupil of James Gillespie’s High School in Edinburgh who studied Medicine at the University of Glasgow. She is now a trainee sequel health doctor at University Hospitals Bristol, where that she met Eric, through a mutual friend. The former Edinburgh University language school building which is undergoing a £1.5 million refurbishment is due to open in May and will be the fourth venue operated by The Royal College of Surgeons. As a surgeon who worked at Edinburgh’s Royal Infirmary, Megan’s father is a Fellow of the College of Surgeons and she added: “A retirement party was held for my dad at the Royal College and it was such a stunning setting that I always had it in mind as a potential wedding venue. “When we heard of the new venue under construction, we asked the coordinators to show us the plans and we really were sold on what the venue had to offer. Its Victorian features and large central roof window really appealed to us and the whole project sounded so exciting. Event coordinators at the College have been liaising long distance with Megan while also keeping in touch with her parents, Trevor and Frances Crofts who live in the Marchmont area of the capital, to make sure everything runs smoothly on the big day. Megan added: “Of course, some aspects of the planning have been difficult, for example, figuring out flowers and themes was a little tricky because we haven’t seen the interior or any colour scheme. The new venue will see the happy couple make full use of the entire venue with drinks, dancing and the ceremony spanning across all three floors, offering ample space for guests, who will also be able to enjoy the tranquil courtyard which offers a peaceful oasis in the heart of the city. The Royal College of Surgeons of Edinburgh Commercial Enterprises specialises in making the most of the institution’s impressive buildings, with all the profits being invested back into running the organisation, which delivers life-changing skills to every corner of the world. The College is best known for its magnificent Playfair Building, dating back to 1832. Other venues include the modern Quincentenary Building – created to mark the college’s 500th anniversary in 2005 – and the neighbouring King Khalid Building, formerly St Michael’s Church, which has been transformed into an outstanding 158-seated auditorium. The opening of the fourth venue has already been welcomed by Marketing Edinburgh, which promotes the city across the UK and internationally, and is expected to bring a business and tourism boost to the south side of the capital. 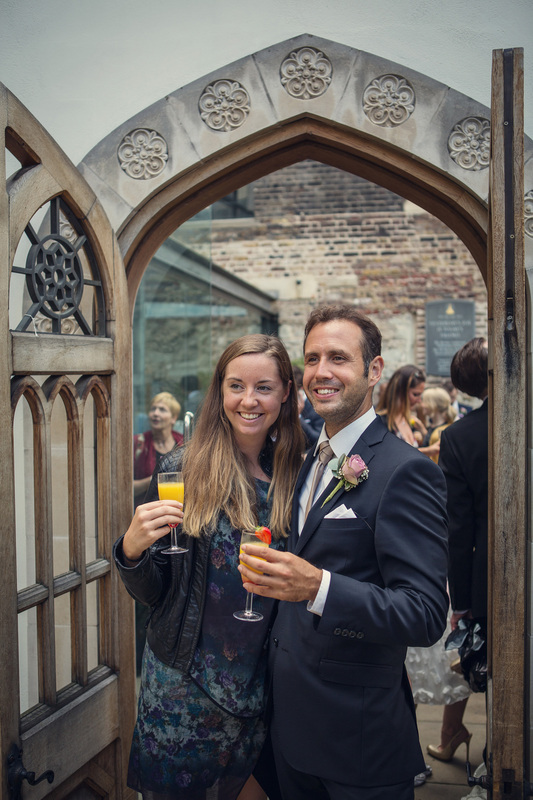 Scott Mitchell, the College’s Commercial Director, said: “We are thrilled to have a wedding already booked at the new venue, it is the perfect start for us and we’ll be doing everything we possibly can to make sure it gives the perfect start to Megan and Eric’s marriage. “Everyone in our team has enjoyed working with Megan, Eric and her family on this project and we all are very confident that the venue will make for an absolutely stunning setting for their wedding. It provides education and assessment for medical students, surgical trainees and consultants and supports research to advance standards of care for the future. Surgeons trained and assessed through the College take their life-saving and life-changing skills all over the world.